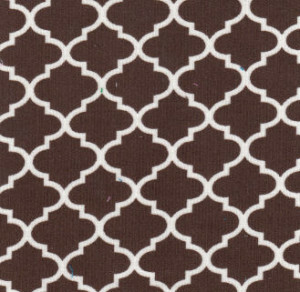 Brown Quatrefoil Fabric. 100% cotton corduroy, 58″ wide. 21 wale. The quatrefoil is 3/4″ tall and 7/8″ wide across the center. 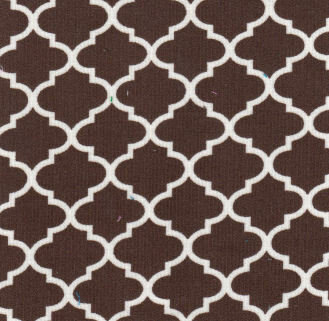 Our quatrefoil is made of the highest quality cotton fabric you can find.